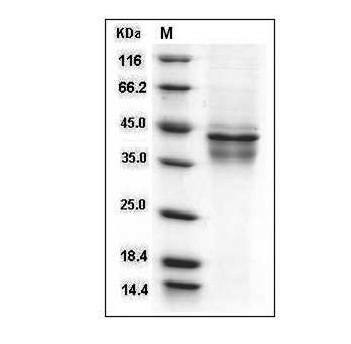 Recombinant Human Leptin Protein (Leptin) expressed in E. coli. 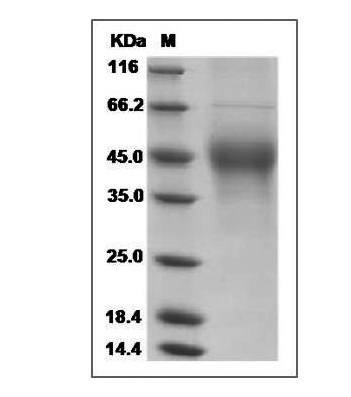 Recombinant Mouse GM-CSF Protein (Granulocyte-macrophage colony-stimulating factor) expressed in Human Cells. 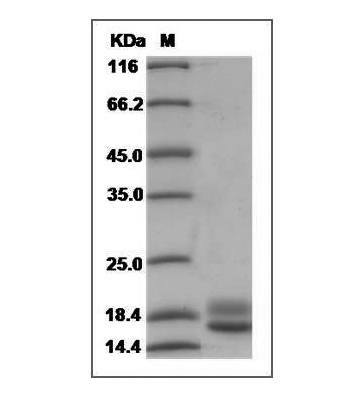 Recombinant Rat TGF-beta 1 Protein (Transforming growth factor beta-1) expressed in Human Cells. 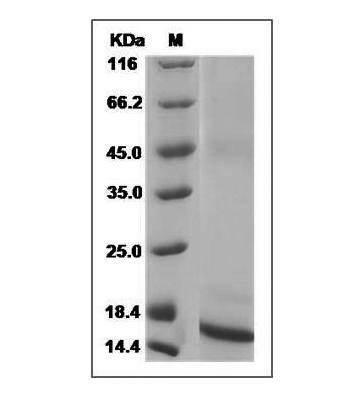 Recombinant Mouse TGF-beta 1 Protein (Transforming growth factor beta-1) expressed in Human Cells. 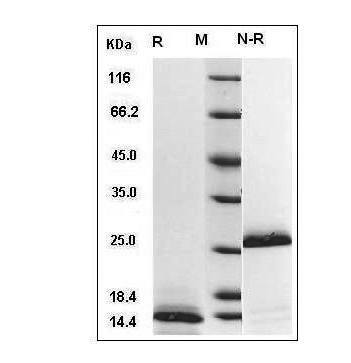 Recombinant Mouse TNF-alpha Protein (Tumor necrosis factor) expressed in E. coli. 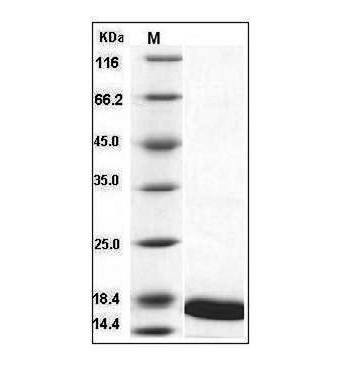 Recombinant Mouse IL4 Protein (Interleukin-4) expressed in E. coli. 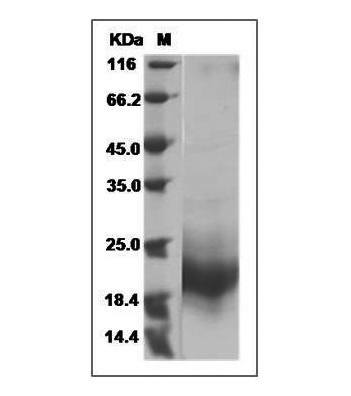 Recombinant Human IL- 12 (IL12A & IL12B Heterodimer) Protein (Interleukin-12 subunit alpha & Interleukin-12 subunit beta) expressed in Human Cells. 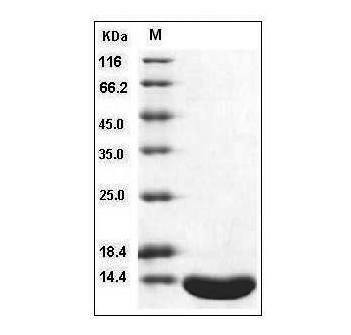 Recombinant Human TGFB1 Protein (Transforming growth factor beta-1) expressed in CHO Stable Cells. 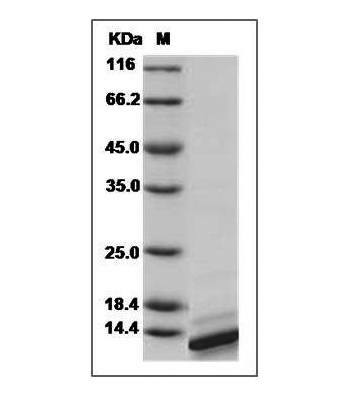 Purity: > 95 % as determined by HPLC.